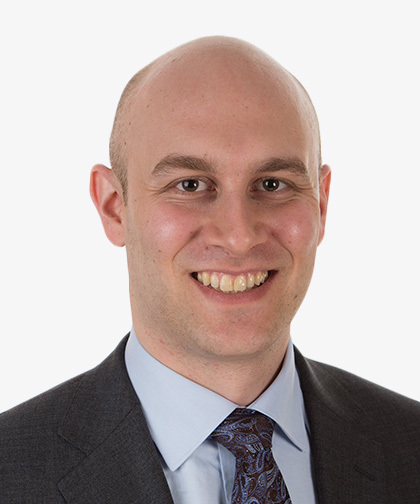 Jonathan Klein, MD, FRCPC, DABR, is Attending Physician, Radiation Oncology, and Assistant Professor, Radiation Oncology, Albert Einstein College of Medicine. He joined Montefiore in 2017. Dr. Klein earned his bachelor of science degree with great distinction in physics from McGill University in Montreal, Quebec, Canada. He subsequently earned his medical degree from the University of Western Ontario and completed residency training in radiation oncology at the University of Toronto. He also completed a joint clinical and research fellowship at the Odette Cancer Centre at the University of Toronto with clinical emphasis on breast and skin radiation oncology and concurrent work toward an MSc degree in medical biophysics at the University of Toronto. Dr. Klein achieved board certification in radiation oncology by both the American Board of Radiology and Royal College of Physicians and Surgeons of Canada during this time. Dr. Klein has strong academic interests and has published articles in numerous peer-reviewed journals. He has earned several competitive awards to support his research work, and is continuing to work on his clinical and research interests at Montefiore and Einstein.